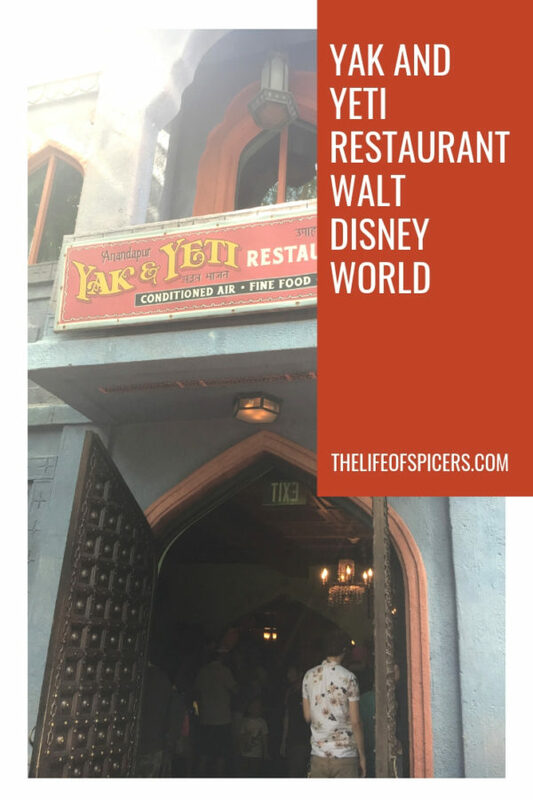 Another restaurant I was excited to try whilst in Walt Disney World last Summer was Yak and Yeti restaurant in Animal Kingdom. We had eaten from the Yak & Yeti quick service area during our very first trip to Animal Kingdom, but never in the restaurant. Being on the Disney Dining Plan this time around it seemed daft not to try it. We love Chinese as a family as were all looking forward to trying out the menu. 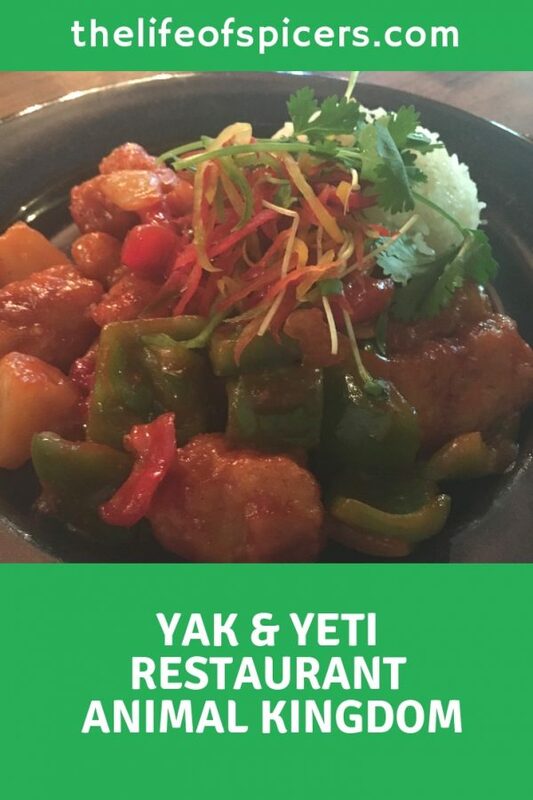 Yak and Yeti restaurant is a one table service credit restaurant on the Disney Dining plan. You can’t miss spotting Yak and Yeti restaurant as you walk through Animal Kingdom. Based in Asia, you will find Yak and Yeti restaurant on the corner next to its quick service addition. Yak and Yeti restaurant has a medium-sized waiting area that we found to be very crowded even at a non peak time of 4.30pm dinner. Once inside the restaurant however, we realised how large it was. The restaurant is set on two levels we were seated upstairs and near a window which gave us a lovely view into the park. The restrooms are located on the ground floor, but personally I felt the upstairs was a little lighter in atmosphere and if you’re lucky enough to be seated right next to the window then you will be rewarded with an amazing view. Our server started off brilliantly asking for drinks orders. 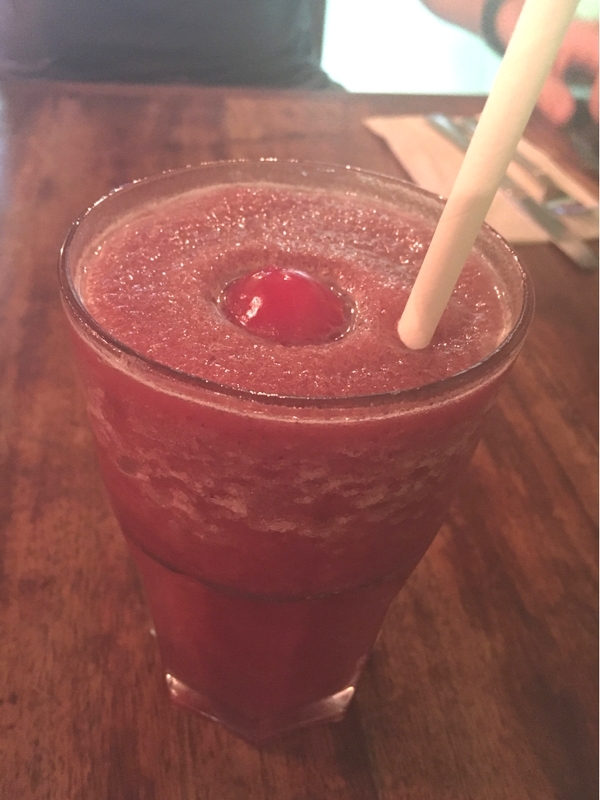 I spotted a berry daiquiri that I really wanted to try so ordered that, but when I was drinking it I couldn’t taste any alcohol.I mentioned it at the end of the meal and it turned out I received a non alcoholic version which didn’t matter and I hadn’t been charged for the alcohol so all was well. The menu was vast and contained plenty of options for even the fussiest of eaters. Abby chose a lovely sweet and sour chicken, and I went against the grain and ordered the ribs as I really fancied them. In hindsight I wish I had stuck to something more traditional for the restaurant, but the ribs were plentiful and very tasty. We were asked if we were on the Disney Dining plan before ordering and this is where the service went downhill for us unfortunately. We waited a very long time for our drinks and then our meals. Tables around us were being served quite quickly, and our waitress was paying a lot of attention to a very large table near us, yet she wasn’t their server. We could only deduce that she thought she had better chance of tips with a bigger table than us. We really couldn’t fault the food at all, and the prices are very reasonable, especially if you’re paying out of your own pocket. The atmosphere in Yak & Yeti restaurant was pleasant, and despite being left alone by our server we really enjoyed our meal and would definitely return again in the future. 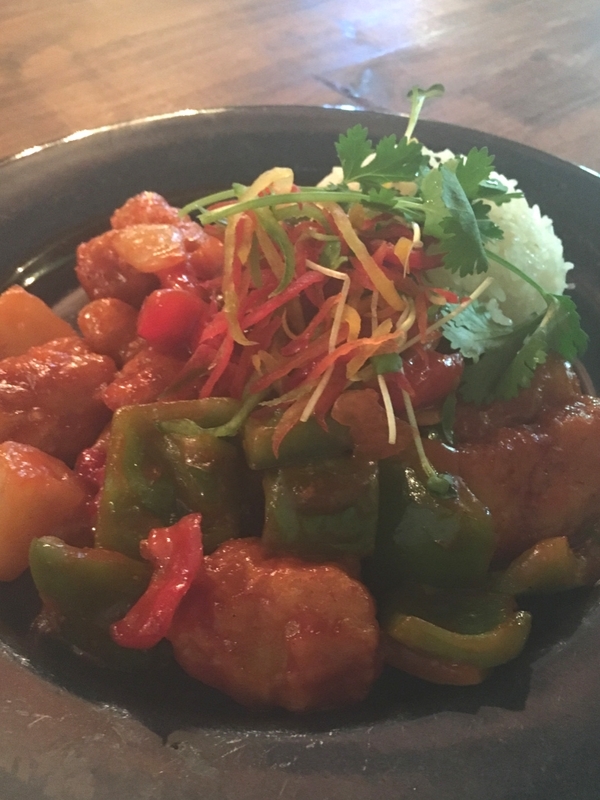 We found a lot of choice on the menu from the traditional Chinese dishes to providing something for everyone. Items include the Kobe beef burger, pot stickers, firecracker shrimp and chicken tikka masala. 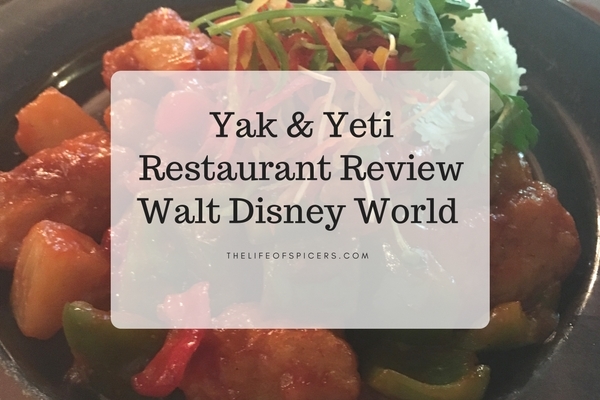 I can see the appeal of dining at Yak and Yeti restaurant as a larger group to be able to try lots of the different items on the menu. Our food was plentiful and very tasty. We only just about managed to fit in the dessert. 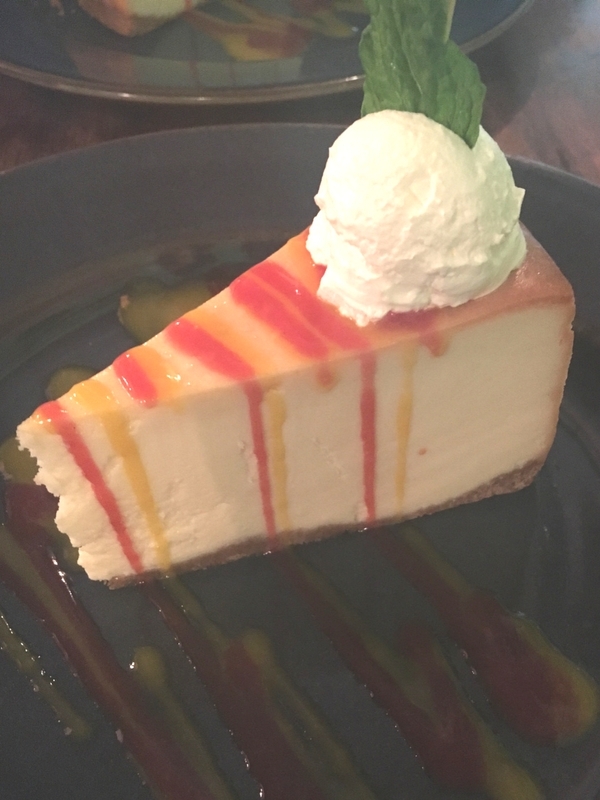 Dessert items to temp us included mango pie, ice cream, fried wontons and the amazing cheesecake. Thanks for informing us, it seems a nice place.